I'm the founder of Fit Armadillo® and I'm so glad you're here. If you've been looking for a way to start your healthy lifestyle, but you don’t want to join a gym or spend thousands of dollars on supplements and fad products, you’ve come to the right place. The tagline I chose for my business, "Fitness at your place and your pace®", isn't just a fun rhyme (although it might have started that way...)! I believe fitness is something that should be available to everyone everywhere, instead of something that can only be enjoyed at the gym. Why am I so passionate about helping you enjoy fitness at your place and your pace? Even though I'm a personal trainer, I grew up terrified of gym class. It's my dirty little secret (er, was!). If you had told me in kindergarten that I'd end up spending most of my 20s working in gyms, I probably would have run away from home! I know what it's like to avoid working out like the plague. Lucky for you (and me! ), I discovered forms of fitness that I loved and the rest, as they say, is history! Once I learned how fabulous fitness made me feel, spreading the word became my personal mission. I became a personal trainer, because I knew I wasn't the only girl who hated gym class. I was just lucky enough to find exercise I enjoyed early on. I spent the first 6 years of my fitness career working in gyms and schools across the country. Then, I left it all behind. I felt that I wasn't helping the people who wanted and needed my help the most. Those men and women who were like me for the longest time - just NOT interested in anything gym related and unknowingly missing out on the many benefits of adding movement to their days. And so Fit Armadillo® was born. I started offering fitness sessions at the park and at my clients' homes so they could enjoy fitness at their place and pace. No gym​ required. In addition to my in person sessions I also offered online sessions and programs. I've since had the honor of working with men and women all over the world (Australia, Canada, Denmark, India and Japan are just a few of the places my awesome clients call home)! My clients loved the added convenience, accountability, and time and money they saved by working with me virtually. I loved FINALLY being able to use fitness to make a real difference! My clients have shared how fitting in fitness has given them more energy for their hobbies, the ability to keep up with younger family members, feel more creative in their businesses, and have an overall more positive outlook on life. Fitness at your place and your pace is also about helping personal trainers! In order to reach more people, I've brought on more talented trainers, because by offering fitness to you via online sessions, their lives are changing, too! It's hard to make a living there as a trainer! Even though working with a trainer at a gym is expensive, trainers themselves often make less than 25% of what the gym charges members for sessions! Many fitness professionals leave the industry and aren't able to share their passion for fitness with those they so badly want to help! By working with a Fit Armadillo Trainer you will be part of a real MOVEment. Moving more is going to help you achieve your personal dreams and goals when you get to experience the extra positivity and energy fitness will give you. Working with a Fit Armadillo trainer will also give your very talented trainer the chance to share their expertise, inspire you, and actually make a living while doing so! I'm so glad that you've found Fit Armadillo! I can't wait to hear what enjoying Fitness at Your Place and Your Pace will mean to you. Check out this AWESOME fitness program and be a part of a real MOVEment when you tone up at home! Catherine Basu, MEd is an ACE-certified fitness professional, and the owner of Fit Armadillo®, the fitness company that helps you enjoy fitness at your place and your pace through 1-on-1 online sessions. After working at gyms and schools in roles from trainer to wellness center director to running coach, she created her company to help busy women find fitness they could tone up on their terms. Armed with her B.S. 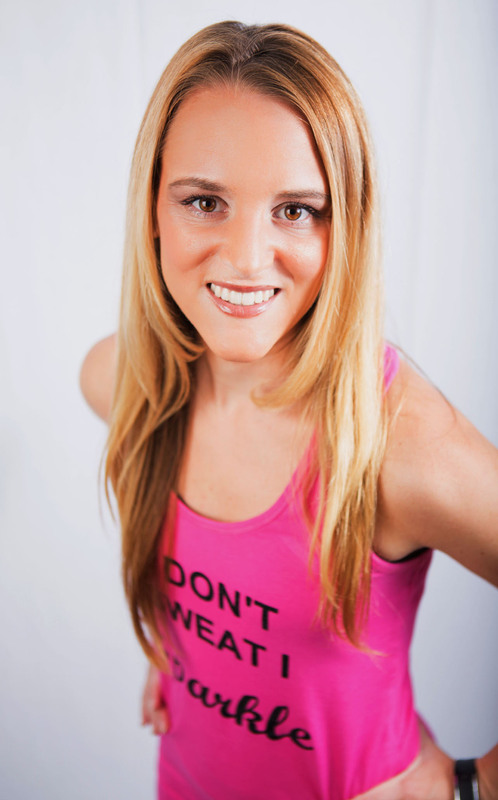 Degree in Biology from The College of William and Mary, she enjoys debunking fitness and nutrition myths to help her clients achieve lasting results. She has been quoted for her expertise on SparkPeople.com LiveStrong.com, EmpowHER, and WorldLifestyle, and writes as a blogger for the Huffington Post. Catherine has zero tolerance for diets, supplements, and detoxes, but lots of love for those new to fitness. An avid runner, Catherine has competed in races from the 1500m to the full marathon and loves helping others start a running routine. While Catherine works with clients all over the world, she currently lives in Hermosa Beach, California. When she's not training clients or coaching fitness professionals, you'll likely find her trying not to buy more than her weight of fresh produce at the farmer's market! Her book, Superwomen Secrets Revealed: Successful Women Talk About Fitting in Fitness and Dare You to Join Them can be purchased HERE or in your bookstore. Catherine is also the host of the podcast show, The Fit Fifteen, which she created to help you enjoy fitness and health tips and motivation shared while getting moving. Want to tone up, but don't want to join a gym? Get matched with an online personal trainer @FitArmadillo! Don't forget to become a Fit Armadillo® A-Lister!